Nikon just finished announcing the launch of a new tele-zoom for full frame; the AF-S NIKKOR 400 mm. f/2.8E FL ED VR, a zoom oriented towards the professional sector. The main characteristics of this model are related to trying to offer a better focus thanks to a diaphragm type Iris (from it comes the “E”, f/2. 8E), besides being almost a kilo lighter than the previous 400mm. f/2.8. Let’s remember it includes a stabilizer VR Sport, specifically designed for workings on action scenes. Fluorite elements fluorites in the construction of the zoom have helped to reduce the weight of the tele zoom; it weighs only 3800 g. (approximately), resulting in a lighter zoom than its predecessor. Among the ergonomic improvements are the bearings that permit a soft change in between the horizontal direction and the vertical, affected on the ring of the tripod. Also, the foot of the tripod is now oriented towards the front of the zoom, offering in this way a better balance and a more comfortable transport when the zoom is attached to a tripod; also, with the zoom it comes single . On the other hand the sun shade of one piece can be turned upside down and installed again, allowing the zoom to be attached during transportation. An anti-theft slot, for security purposes, keeps the zoom protected; also a rigid hard case CT-405, protects the integrity of the zoom. As we have already mentioned, this zoom was designed for the professional; it has 9 diaphragmatic blades, 2 fluorite lenses, 2 of low dispersion (ED) and a nano crystal cover to secure a better yielding when facing chromatic aberrations or overexposed frames. The optical outline includes 16 elements in 12 groups and has an electromagnetic diaphragm, very similar to the one used in the AF-S NIKKOR 800 mm. f/5,6. This is a zoom designed for a long life and with the guarantee that it can suffer all the rigor and exterior circumstances of a professional use; this is why we mentioned the inclusion of a protective cover of Fluor that repels water, dust and dirt, without affecting great images. 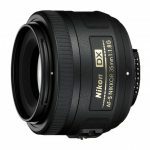 The terminologies “E” tell us, in theory, about the capability of stable expositions at high speed, as in the new Nikon D4S HD-SLR. Furthermore, the zoom uses a rounded diaphragm with nine blades to bring a circular image in where is a clear separation between the subject and the background, ideal for those professional photographers who indulge in this type of images. The new 400 mm f/2.8 is a tele-zoom with a long range, and according to the manufacturer, the optical characteristics have been improved in a high percentage, as well as the precision and speed of the automatic focus. In this way, this fast diaphragm of f/2.8E permits a much better control of the speeds in the depth of the background and the shutter, to obtain a distinct separation of subject and background. The electromagnetic diaphragm intends in a satisfactory way to have a better control of the diaphragm opening with very few errors. This precise mechanism also provides stability improvements for automatic exposition control during continuous shooting, and it increases precision, especially if the zoom is used together with an electromagnetic tele-converter as the new Tele-Converter AF-S TC-14E III to it we’ll refer later. This tele-zoom allows three focus modes: A/M (with priority to the auto focus even if it is using the focal ring); M/A (allows to change the auto-focus to a manual operation in any mode AF in an instant) and M (manual operation). The technology of vibration reduction (VR) from Nikon , to improve stability , allows shooting speeds four steps slower; and the new SPORT mode VR permits to create panoramas of the subjects in fast movement (horizontally).This design brings a stable image through the visor during the shooting at high speed, allowing also a fast recording in continuous shooting with a minimum delay of the shutter opening, a similar way to the one obtained with the VR function turned off ( we already know that traditionally, the function VR meant less speed). Nikon has introduced together with this zoom, the tele-converter AF-S TC-14E III as an ideal companion to the zoom (in our personal view it is a pity it is not incorporated in the body of the zoom) as we deduce from its name it maintains auto-focus. 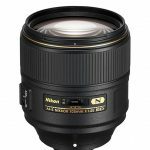 It was designed to increase the focal length of the NIKKOR zooms selected to 40% (1.4x will allow us in this case to reach 560mm). This tele-converter is ideal for sport, press and wild nature photographers that need to extend the reach of their optical equipment. According to the manufacturer, this is an advanced optical formula with the mind on excellent high resolution images, even with the max diaphragm; all these thanks to the electromagnetic diaphragm that maximizes the precision of the exposure with compatible zoom. The Zoom AF-S NIKKOR 400 mm. f/2.8E FL ED VR will be available in August 2014 and its selling price will be approximately 12,000 Euros, still not officially confirmed. The tele-converter AF-S-TC-14E III is expected to be around 500 Euros, but we still do not have the official confirmation of this price. We will actualize this information as soon as we come into its possession. Previous There are rumors about a Fujinon XF 90mm f/2 for later this year. Next The Fuji X -Pro2 will have a APS-C format sensor.